Q What happens to the flyers that are left over at the end of the day? A All flyers that are not distributed are returned where they are counted and re batched for the next day’s distribution. Q How do I know my flyers won’t be dumped? A We do not use casual staff, we have full time permanent staff members that understand and have a vested interest in returning the undistributed flyers. Q How many flyers can be distributed in a day? A Intersections 300 – 500 per day cars only. Cars, taxi’s and commercial vehicles 1200 – 1500 per day. 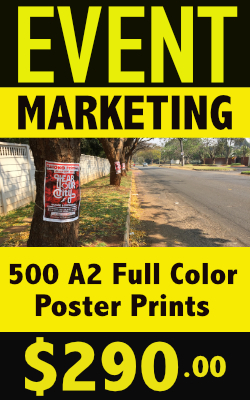 Q How many flyers can a single distributor distribute? Q What are the distributors working hours? Q May I select my own intersections? A Most definitely, we can however recommend tried and tested intersections that have a high flyer uptake. Q Are the distributions supervised? A We employ full time operations managers / supervisors that monitor the distributions and traffic volumes throughout the day. We send a text / Whatsapp message to the client on the morning of distribution to confirm the activation and deployment of the team. We send pictures of the distribution in action via Whatsapp. We send a Distribution report to our clients at least 1 week after distribution has occurred. Our distributors wear name badges at all times, as this assists with accountability and brand image. Give our distributors tea breaks and a lunch hour. This is the only time the distributors are permitted to leave the designated intersection. On going training and reinforcement of distribution etiquette to ensure that our distributors are professional and courteous at all times. Eat, smoke or chew gum during distribution. Force flyers onto drivers. Our distributors behave courteously at all times and are encouraged to hand out only one flyer per vehicle. 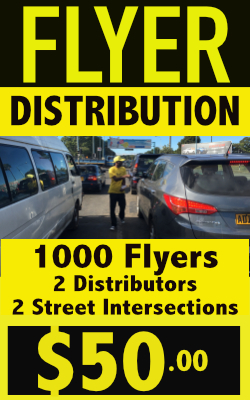 Hand the flyers to taxis, trucks, buses and commercial vehicles unless we are instructed to do so by our client.